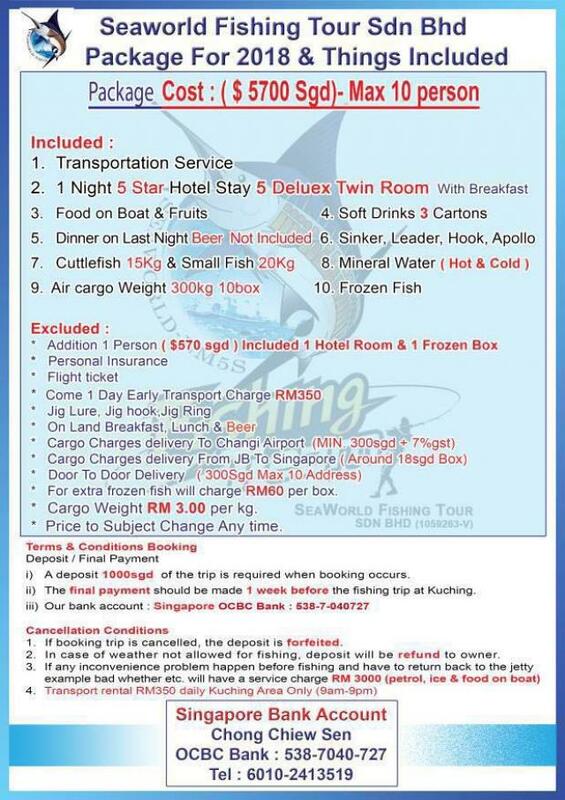 Have 3-4 slots for SeaWorld Kuching fishing trip. Shared basis. Please contact 91014127 for details.